20.5"L x 9"W x 9"H &equal; 1660.5 cu. in. 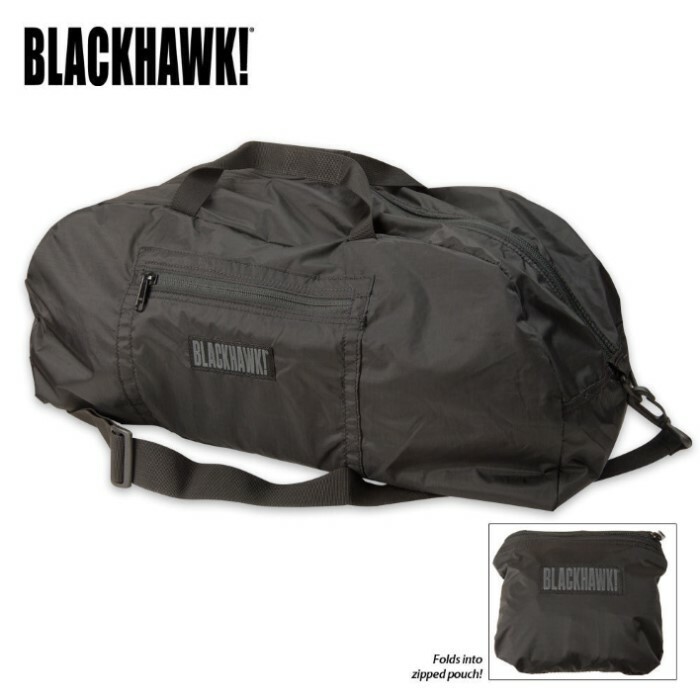 Make use of Blackhawk's Stash Duffel bag at full capacity, then fold it up and pack it away in your suitcase until you need it again. Constructed of lightweight 210 denier nylon ripstop, this duffel folds up into a small pouch when not in use, and unfolds into a large duffel with zippered compartment. It features durable nylon carry handles and adjustable/removable nylon shoulder strap. 20.5 in. L x 9 in. W x 9 in. H = 1660.5 cu. in. open.